UV1 drumheads are the end result of years of research, experimentation, and product development. 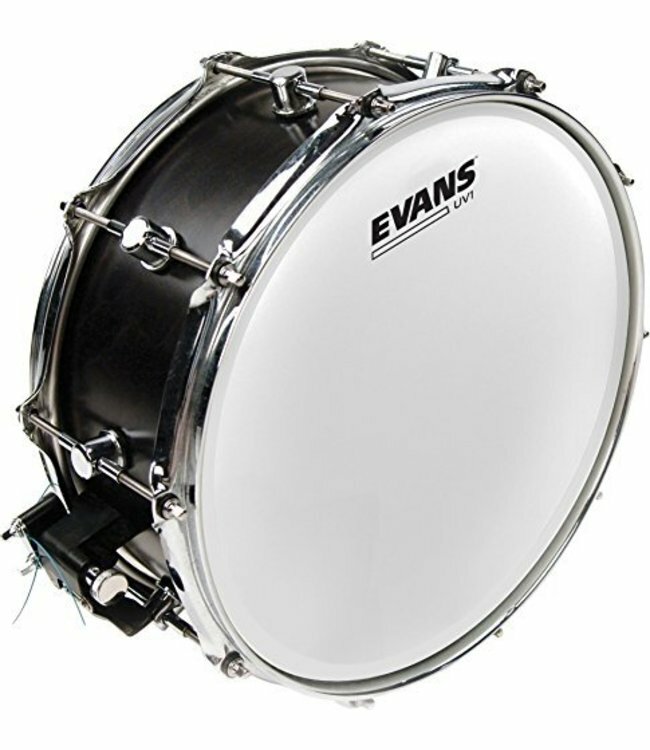 Featuring the latest innovation from Evans thesis drumheads are the very first to market with a newly patented UV-cured coating. It is the most consistently applied coating ever seen on a drumhead. Drummers will be pleased to knowthat it is an extremely durable alternative in comparison to other traditional coatings. This is the number one solution for drummers who are tired or flaked, chipped, and worn out coatings. It also has the added benefit of thickening increased surface texture making it extremely responsive and sensitive for brush playing. In Addition to the new coating Evans, UV1 drumheads feature a new 10mil film. This film type is known to have warmer tonal characteristics while being more resistant to stretching and denting. Combined with Level 360 Technology ™, the UV1 Series is the most versatile and durable 10mil drumheads drummers have ever laid hands on Their.